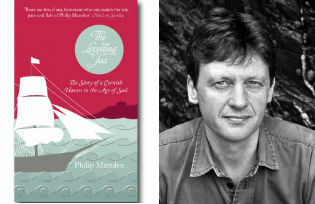 Philip Marsden talks about his new book "The Levelling Sea", his career as a writer and his award-winning books: "The Crossing Place" that tracks the Armenian diaspora and "The Spirit-Wrestlers" about the 'doukhobor' dissenters in Russia. 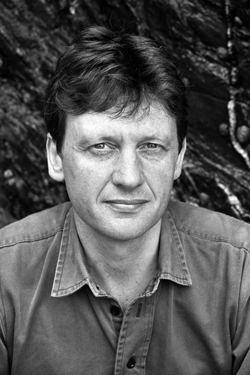 Philip Marsden is the author of The Crossing Place (winner of the Somerset Maugham Award), The Bronski House, The Spirit-Wrestlers (winner of the Thomas Cook Travel Book of the Year Award), The Chains of Heaven and The Barefoot Emperor. He is a fellow of the Royal Society of Literature and his work has been translated into more than a dozen languages, He lives near Falmouth in Cornwall. 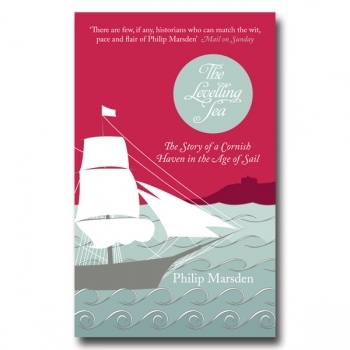 Judging by your new book The Levelling Sea, you have stopped travelling! For the moment yes – this time the story was there on my doorstep. It was a question of unpeeling it and unravelling it through time rather than over distance. I have a young family so there’s more incentive to stay at home. But there is a leitmotif running through this book of me going off in my boat, looking for the story, chasing up leads before disappearing into the past. In this way it is a ‘travel book’ – the process is similar. It’s just that the physical distances weren’t that great. Can you give a brief outline of The Levelling Sea? I have had a lifelong interest in the sea and one of my plans for the book was to dwell on that peculiar obsession that the sea holds for many people. If you’re not careful, it can take over and shape your life in surprising and unpredicatable ways – and I know because it’s happened to me. So in one sense the book is a series of portraits of sea-shaped individuals. But it’s chronological too – a history. It begins in the sixteenth century and ends in the nineteenth – roughly the ‘age of sail’. It’s hung very loosely around the story of Falmouth. What is extraordinary about Falmouth, and what gives the books its narrative, is that at the beginning of the period just one building stood on the site of the town, a lime-kiln. Yet within a century and a half it was one of the most important ports in the country, and one of the hubs of a rapidly expanding world. The emergence of Britain as a power was just as spectacular, from an equally low base – and the sea was, in large part, what enabled it. Falmouth also had something of the wild west about it. It certainly did – it was a hot-spot for pirates and a place sufficiently remote to allow all sorts of devilry to take place with impunity. I sometimes think of Falmouth as being like one of those settlements that sprung up in the seventeenth century in the Caribbean or on the Virginia coast. It was a colony. There was nothing there before, no native population. The people who came to Falmouth were settlers and everyone had to fight for their position and they did just that. This is when the Killigrew family held sway before a new generation of rather aggressive merchants arrived to grab a slice of the pie. A measure of Falmouth’s diversity, its colony-type atmosphere was its range of beliefs – at one point it was said that of all Britain’s towns, Falmouth had the greatest number of religious sects per head of population – which made for a colourful atmosphere. You also talk about the Royal Navy and privateering and piracy and show that the differences between them were not all that clear cut. 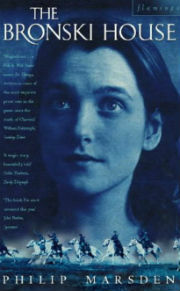 Most of the first half of the book is told around the story of the Killigrews. They were hereditary govenors of Pendennis castle which enabled them to take their pick of the shipping that took shelter in Falmouth harbour. The Killigrews’ power in Cornwall was also propped up by their representation at court. Sir Henry Killigrew was one of Elizabeth’s most trusted ministers and one of his roles was Crown Commissioner for Piracy. On several occasions he had to collect fines from his own brothers. Around the coast, piracy was a bit of a nuisance to the Crown but there was not – in places like Cornwall – a lot that could be done about it. In the open sea it was different. If you lost any goods, say, to the Spanish, you were entitled to a ‘letter of marque’ which permitted you to plunder any Spanish ship in return. Sometimes the letters were sold and sometimes they just weren’t bothered with at all. Queen Elizabeth I invested in a number of expeditions which were often piratical. The Spanish called her the “Pirate Queen”. It was a share she bought in one of Drake’s plunder-trips that enabled her to pay off the national debt and still clear £40,000. John Maynard Keynes calculated that this £40,000, if invested at the time at a compound interest of 3%, would by the 1930s have been equal to the value of all of Britain’s overseas assets. A great deal of British capital had its origins in high-seas theft. There was a great deal of money to be made but there was also opportunity for social mobility. I am fascinated how the presence of the sea affects not only individuals but entire communities. We frequently talk about Britain being a maritime nation but what does that actually mean? For centuries the sea had been a danger, both a risky place to be out on, but also the source of much pillaging and invasion. Then in the sixteenth century technology suddenly leapt ahead – with hull design and developments in rigging, as well as in navigation. Those on the coast were no longer vulnerable but could take to sea and sail large distances themselves. A bold new age was born. And interestingly, the Reformation seemed to be reflected in a more egalitarian organisation on board. Ships were usually private enterprises, with crews given a share of the earnings – whereas the Spanish retained a more martial and hierarchical structure. Their ships remained like floating castles, with exaggerated upper-works. Soldiers did the fighting while sailors below them got on with the sailing. Sea-skills on English ships were much more integrated. And the ships in the end were more succesful. What about you, are you a sailor yourself? Yes I am. My love for the sea was passed on to me from my grandfather. He was one of a type that I have become familiar with, living on the coast – people who seem not as at ease on land as at sea, who come into their own when in charge of a boat. I began The Levelling Sea with a hypothesis – that sea-skills helped shape the modern world. Like most grand ideas, it’s more interesting to test out than to prove. I have always been intrigued by the skill-sets needed at sea – where everything is different . The clearest example of that is the language. Some people think that using funny words at sea is just for effect – but in fact a different vocabulary is needed because most aspects of boats and ships have absolutely no equivalent on land. Are you from Cornwall originally? I am from Somerset but my grandfather had a house in St Mawes. He never lived there but he kept his boat there and – like a true man of the sea – chose to be buried there, just yards from where his boat was being wintered. We used to spend the summer in St Mawes and it’s where he taught me to sail. It had happy associations, and so – because writing is something you can do anywhere – I gravitated back there, gradually to begin with – a few months at a time during the 1990s, then full time about ten years ago. Can we look back at the beginnings of your writing career? Ethiopia played a part, I think? 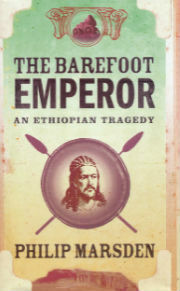 Yes, I first went to Ethiopia as a callow 20-year old. I’d never been outside Europe, and it opened my eyes. And I found that my bubbling enthusiasm for it could only find release by writing about it. When I was there in the 1980s it was a very difficult country to travel in, given the civil war and the Mengistu regime. It was also very hard to talk to anyone – everyone was terrified. It was a brutal regime and a number of the people I knew during those years disappeared. When the country opened up again in the 90s, I was involved in other projects – travelling back and forth to the fringes of the old Soviet Union. So it was some time before I managed to get back to Ethiopia. And when I did, I took a long trek through the northern highlands exploring all the places that had been inaccessible twenty years earlier. The result was The Chains of Heaven. I noticed that you chose to look at the country through the lens of the clergy and the religious ascetics in Ethiopia, why is that? The Ethiopian Church embodies so much of what is extraordinary about the country – its antiquity, its isolation, the people’s deeply engrained faith. The historical core of Ethiopia is in the central highlands, and early Ethiopian Christianity was concentrated in these highlands. From the seventh century, it became cut off from the rest of Christendom. But it survived, and it’s an obvious focus for looking at the people and their history. When I studied for an anthropology degree, years ago now, it was always the ‘belief systems’ that were the most colourful aspect of any ethnography and seemed to say most about those mysterious, universal drivers of human behaviour. We live in a sceptical age, but for most of human history, faith has been the context in which man has acted – both individually and collectively. 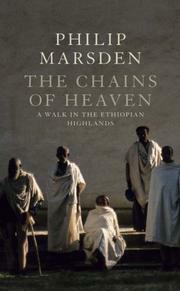 In Ethiopia you get the impression you are witnessing what medieval Christianity might have been like in Europe: long pilgrimages, a strong monastic element and a firmly entrenched clergy. Ethiopia though has retained ritual dance – something that was banned in other churches from an early stage. To witness an all-night service, with the dancers, the debtara, whirling intermittently round the church, following the great drum, the kebbero – well, you can’t help be struck by it. 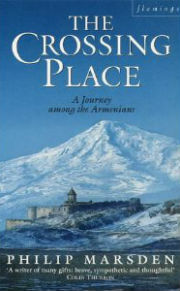 What then led you to delve so deeply into the Armenian diaspora in your book The Crossing Place? There’s never just one reason. These things creep up on you, like some benign disease. In that period of my life I was travelling a lot in the Middle East and the Armenians were a constant presence. You’d come across an individual, or a shop, or a small community, or some intriguing footnote in the history of some other people. I became fascinated by the Armenians’ role as some secret cipher to understanding the region. They had the most extraordinary stories, often shocking or heart-breaking – but always eventful. And you couldn’t help sitting there in awe, listening to what had happened or what they’d achieved. My interest – and a little of the language – was a ticket into many secretive corners of Armenian life and I was passed from one community to the next. As someone who by that time was leading a pretty nomadic life, I was interested too in their mobility and by their fantastic nonchalance when it came to crossing borders. You seem to have a great respect for people who demonstrate resilience and who survive in the face of extraordinary odds. Yes I do. That was certainly the case with the Armenians. Coming from cosy old England, travelling in the Middle East, or Eastern Europe, you soon realise how much of an upheavel the twentieth century really was. The Armenian story seems to have many parallels with the Jewish diaspora, did you find many connections? There are certainly parallels. The Armenians and the Jews share the strange ability to survive for long periods without land. What’s interestinng about that is that when you lose your land, you have to live by your wits. Armenians have often been at the forefront of innovation – photography for example – and survived very difficult political circumstances. Most people who lose their land have become assimilated but Armenians, the Romany and Jews have resisted assimilation. The big question then is this: “What is it that’s so wonderful, that you’re trying to protect? That makes you resist assimilation at the price of vicious persecution?” And that of course is a rather compelling question. You are so deeply immersed in the Armenian question that travelling to Turkey must be something of a problem. In the early 90s, there were still people who remembered the 1915 genocide. Having spent time talking to them in Jerusalem and Lebanon, seeking out the sites in Syria where it happened, I couldn’t help being filled with a kind of deep rage. I can distance myself from this a bit now but at the time I was caught up in the burning sense of injustice, not just about the genocide but about the continuing denial. I love Turkey and the Turks and travelling in Turkey, but there is something suspect about a political culture that can continue – actively – to deny such an act. 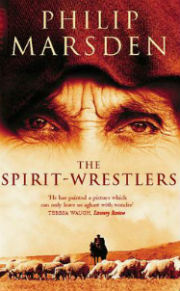 ‘Spirit-wrestler’ is a translation of ’doukhobor’, a group of dissenters, not dissimilar to the Quakers. The book itself was a journey among a number of different groups of dissenters – Old Believers, Molokans and Doukhobors, also Cossacks and the various republics of the North Caucascus. Having travelled around the edges of Russia, I was intrigued of course by Russia itself. But how to write about it? I moved to Moscow for a bit and I found myself wanting to counter the idea that the legacy of the Soviet period was a kind a blank uni-culture, that the people had been cowed into perpetual conformity by decades of state terror. Getting out into the sticks, of course, all sorts of diverse groups started to appear. For the first time in decades, perhaps ever, it was possible to travel freely among the villages, among not only the physical fringes of the Russian Federation but its social and religious fringes. In Russia, any deviation from the norm becomes very appealing. But as with previous books – and subsequent ones – I was after stories, people’s lives, what motivates us all, how we cope under duress. The Bronski House grew out of knowing a Polish woman, an old family friend, a Polish exile and a poet, who was a friend of my grandfather’s in St Mawes. When I began to spend winters down in Cornwall, writing, I became very close to her. She was in her late 70s then and she told me her story, about how she left Poland in 1939 with nothing, and about her life beforehand. When I came back from my first trip to Armenia in the early 90s, she suggested that we travel together to Belarus. She’d been waiting fifty years to see what happened to the village where she had been brought up. When she left she was 17 and they had to drop everything and flee through the forest to Lithuania. There was also a story of a stash of silver that she’d hidden with her mother before they left. She and I went back to the village and found that the house had been burnt down during the war, but we met with people who remembered her. We went to her family chapel and found that the grave of her father had been dug up by people searching for gold teeth. This was the most upsetting thing. We had a hunt in the forest for the silver, but of course they’re vast, those forests. We found nothing. How did the book take shape? She gave me her mother’s papers to read – letters and diaries and various accounts she had written in exile – it was a bit like reading Dr Zhivago in long hand. I tried the story first as a novel , but it lacked the immediacy I wanted, so it ended up in a more hybrid form. The story of Zofia’s mother was one of constant fleeing. She fled the Germans in 1914, ended up in Petrograd, fled there in 1917, fled Minsk a year later and then her own village again in 1939. It is her story. Yes, that came out in 2003. The idea behind it is similar to that of The Levelling Sea – the effect of living on the coast, of the effect of the sea on us. 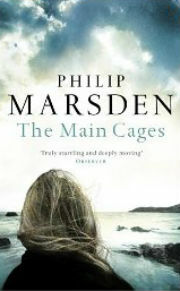 The Main Cages was set in the 30s in a small seaside community. The village is haunted by a set of rocks just off the coast which, as well as providing the best fishing, sees a fair few ships smashed up on it. The central character is an incomer whose life is reshaped by the sea. He becomes obsessed – becomes a fisherman and then a lifeboatman too and the finale – a large part of the book, in fact – is the minute by minute account of a disaster at sea. You have frequently been praised for your writing style, is this something you work at particularly or is it in the blood? Yes – I love language and the power of words. It’s that, as much as anything, that gets me to my desk every morning. I’m amazed by the way that if you put words in a certain order they can create a spell. Prose can have a musicality, something that goes beyond its literal meaning. And that’s what makes writing it so worthwhile. Has your work been translated? Yes, into about 14 languages. The Bronski House has just come out in its third edition in German. The Crossing Place has been translated into Armenian – Western and Eastern variants – Russian and even Chinese. In Poland, there’s a strong sense of nostalgia for the lost land in the east, so the story has a particular resonance there. A couple turned up the other day from the US, and they’d read it in the Polish and came to Cornwall to try and find where it began. But these translations take on a life of their own – which is sort of a cliché but you really don’t know how they will be received or how they will come across. Have you been pigeonholed yet as to what sort of a writer you are, travel writer or novelist? A fair number of my books have been travel books, so that’s a label that’s used. But each book begins with an idea, or a particular story, rather than a place. Sometimes the form fits loosely into the ‘travel book’ bracket – but at other times it doesn’t. I have always tried to be true to the material, the initial impetus of a book and have then chosen the form that best conveys it – be it a travel book, a history, a novel or some weird combination of all three.